Construction is in full force all over the Walt Disney World Resort. 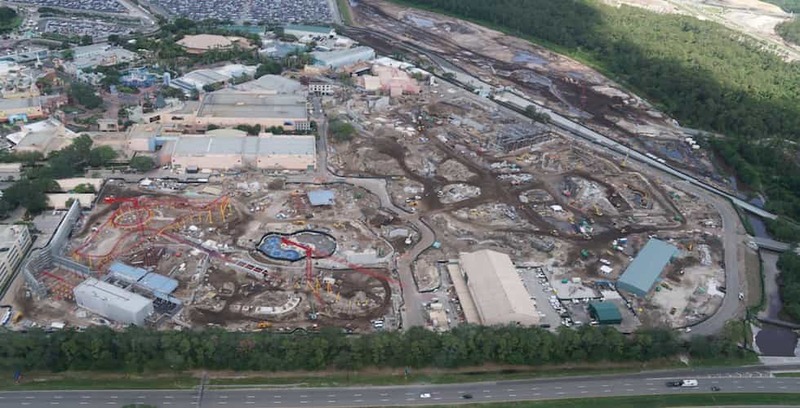 Construction is booming this summer at Walt Disney World Resort. 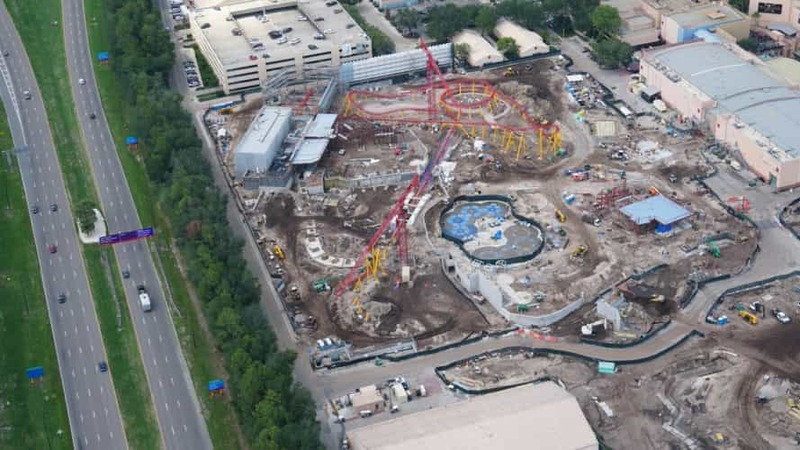 Now that Pandora – the World of Avatar has opened, it’s full speed ahead for Star Wars Land, Toy Story Land, and other locations around the property. 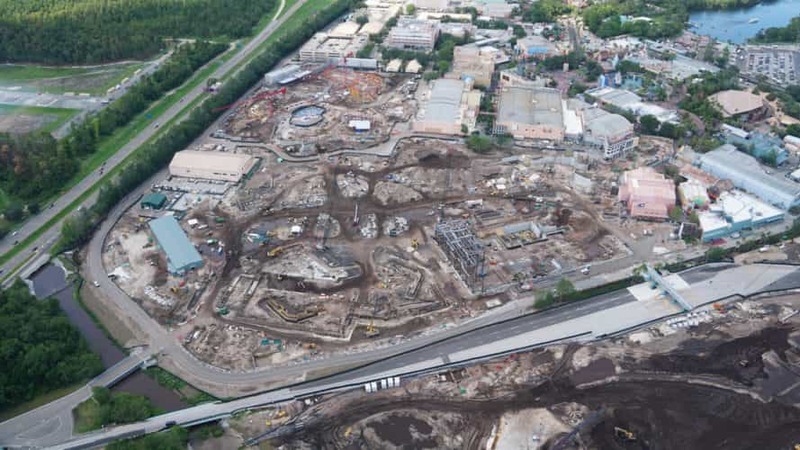 Our contributor @bioreconstruct on Twitter recently took some helicopter shots of the construction updates around Disney property. 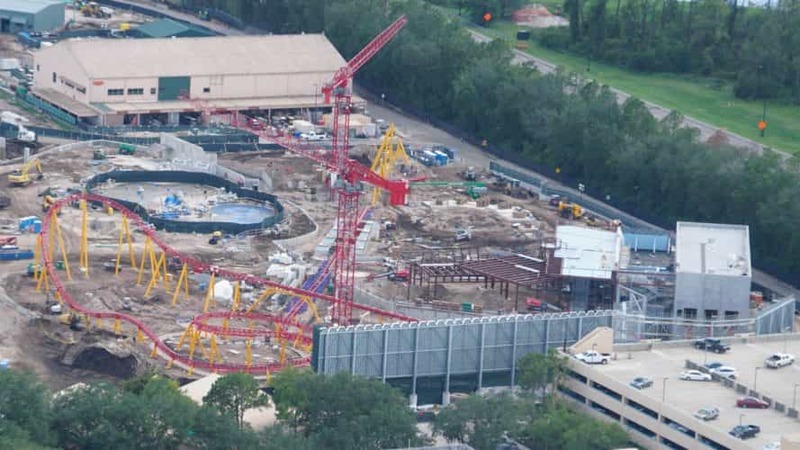 Starting at Disney’s Hollywood Studios, Toy Story Land is rising up more and more every day. 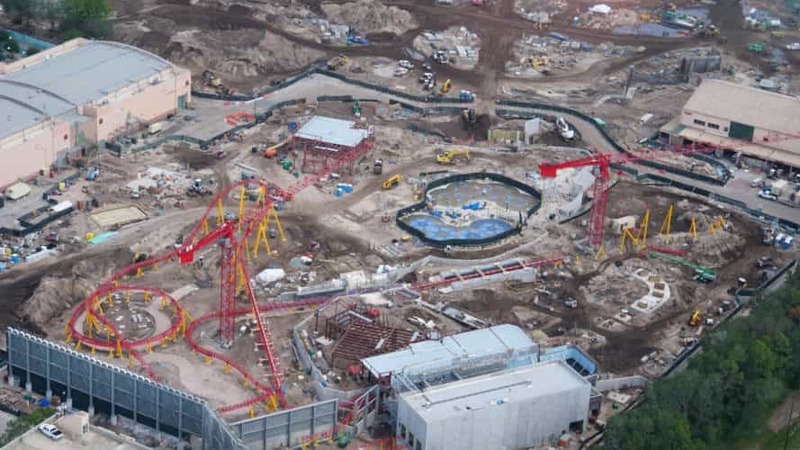 Great progress has been made on the land’s attractions, including the Alien Spinning Saucers. 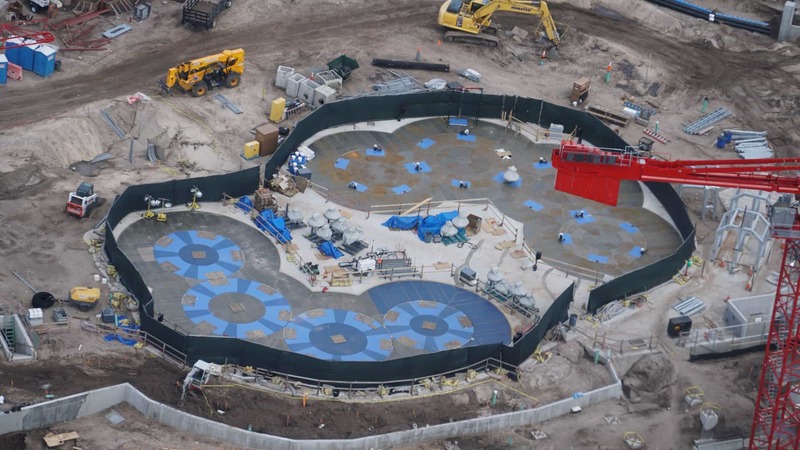 Current state of Alien Spinning Saucers in Toy Story Land at Disney’s Hollywood Studios. Covered in grey plastic, mostly at center. The Slinky Dog family coaster is also coming along nicely, with the coaster now starting to resemble its final shape. 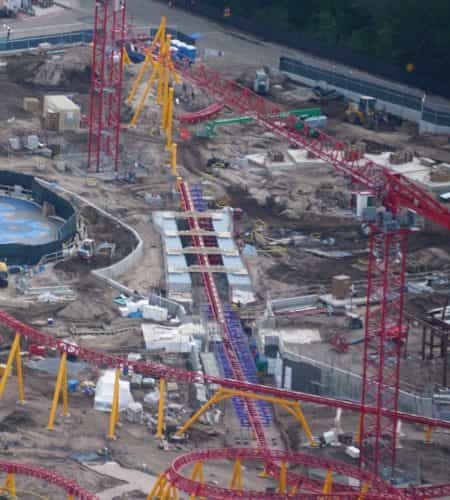 Current state of Slinky Dog coaster in Toy Story Land. The track installation for Slinky Dog Coaster is now at the south end. Likely an acceleration run between sections of the Slinky Dog Coaster in Toy Story land. Even the Slinky Dog coaster show building is taking form, which can be seen off to the right of the coaster. Additional construction is also taking place at what could be the new entrance to the land. Show building for Slinky Dog Coaster starting to take shape at the station in Toy Story land. Not apparent yet what work is in progress behind the scaffolding at Pixar Place. Area expected to be entrance to Toy Story land. 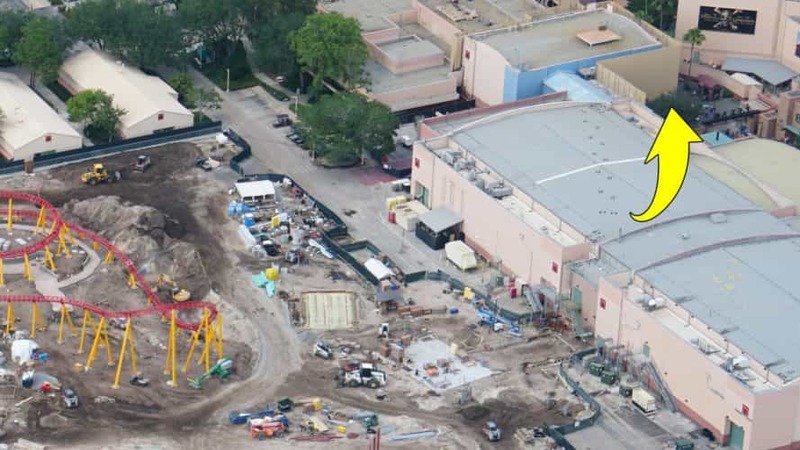 While we are still quite a wait away before the opening of Toy Story Land, this area of Hollywood Studios is slowly starting to take shape. 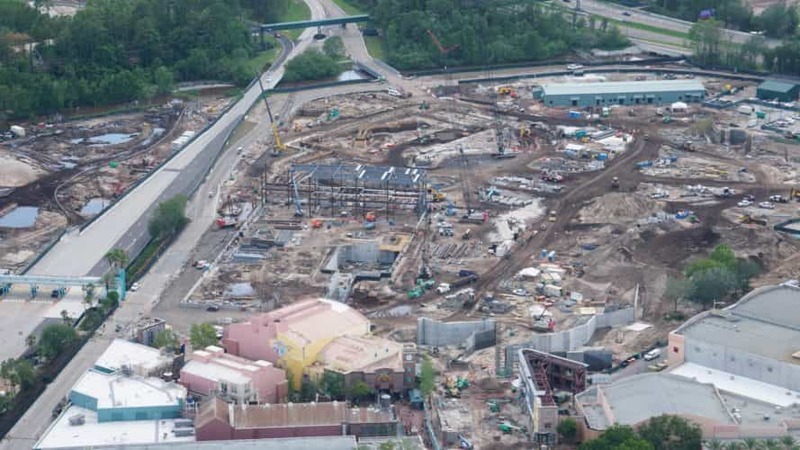 Current state of Toy Story land (left) and Star Wars land in Disney’s Hollywood Studios. Heading over to Star Wars Land in Disney’s Hollywood Studios, we can see that this land’s construction is also moving at a much faster pace. 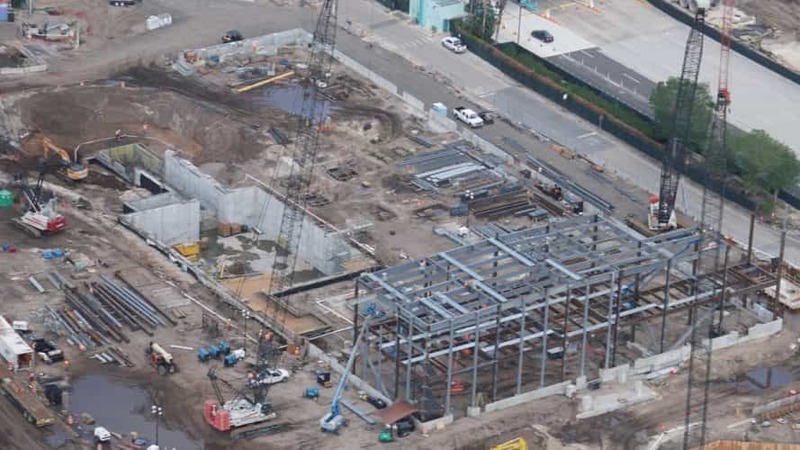 Current state of Star Wars land in Disney’s Hollywood Studios. These aerial photos show the progress made on a structure in just five days, with steel roofing added over a second level of the building. 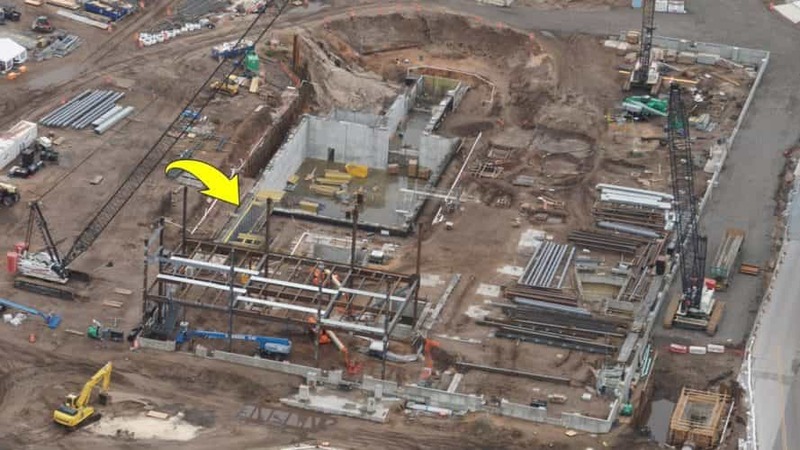 Arrow points to work starting on concrete floor forms. Current view of the building, with new steel roofing added. Star Wars Land is slated for a 2019 opening date, while Toy Story Land will receive an official opening date at this year’s D23 Expo in Anaheim, Calif. Details on Star Wars Land will also be released at D23. Taking a trip over to Disney Springs, we can see major progress on the new restaurant and bar, The Edison. Current state of the waterfront sides of The Edison and an Art Deco building in Disney Springs. 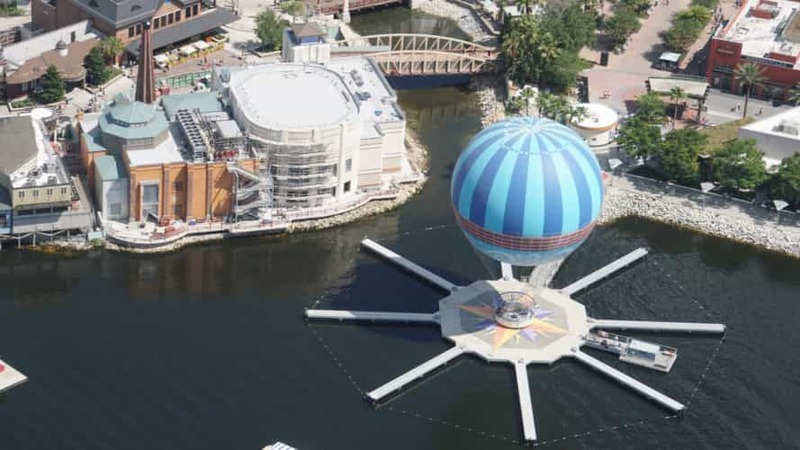 Here you can see The Edison’s location in relation to Disney Springs Town Center and The Landing. The Edison is slated for a fall 2017 opening date, though no specific date has been announced yet. At Disney’s Caribbean Beach Resort, demolition is underway to make room for its new expansions in the resort’s marketplace area. 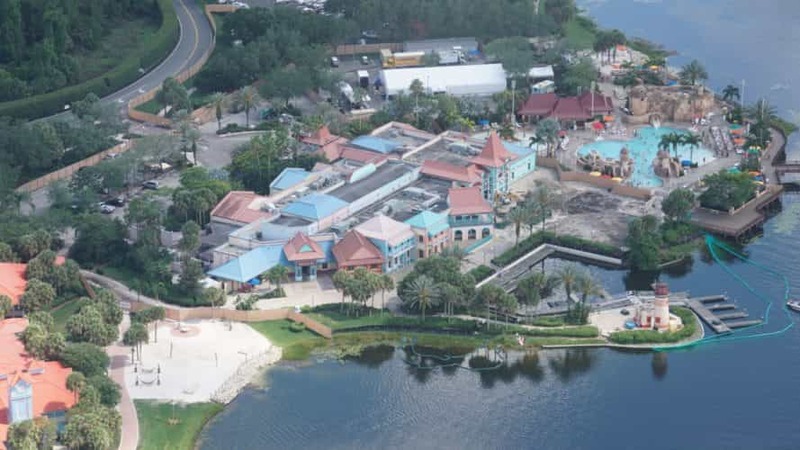 Some demolition underway at Old Port Royale in Disney’s Caribbean Beach Resort. 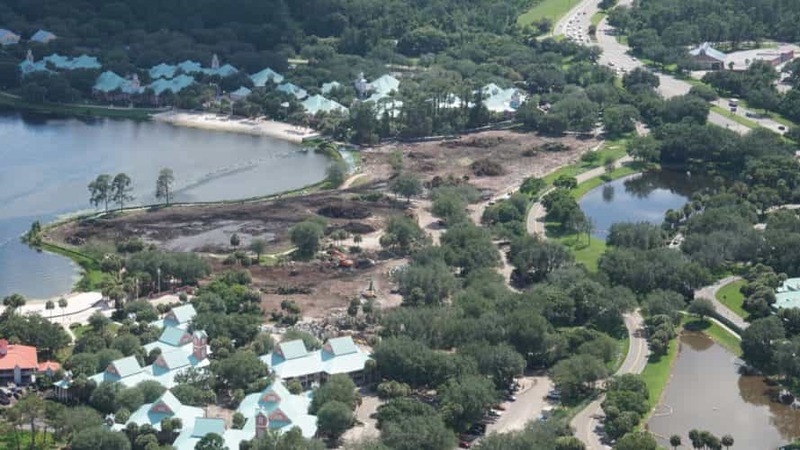 Demolition in Disney’s Caribbean Beach Resort. 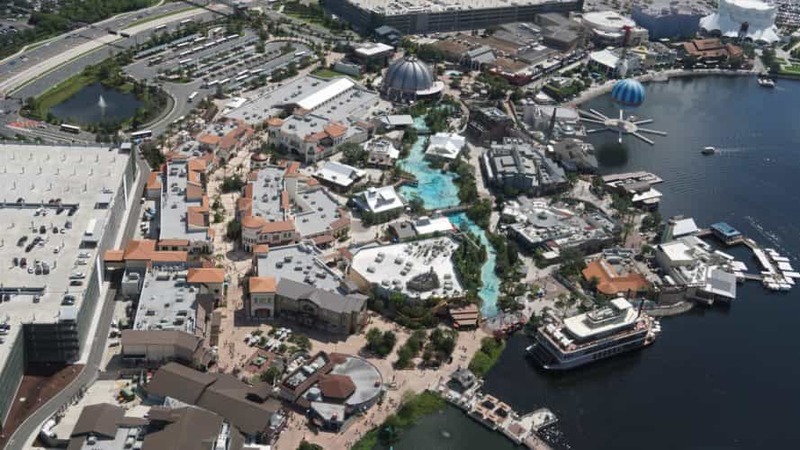 No specific date has been announced for the completion of this expansion at Disney’s Caribbean Beach Resort.